1. 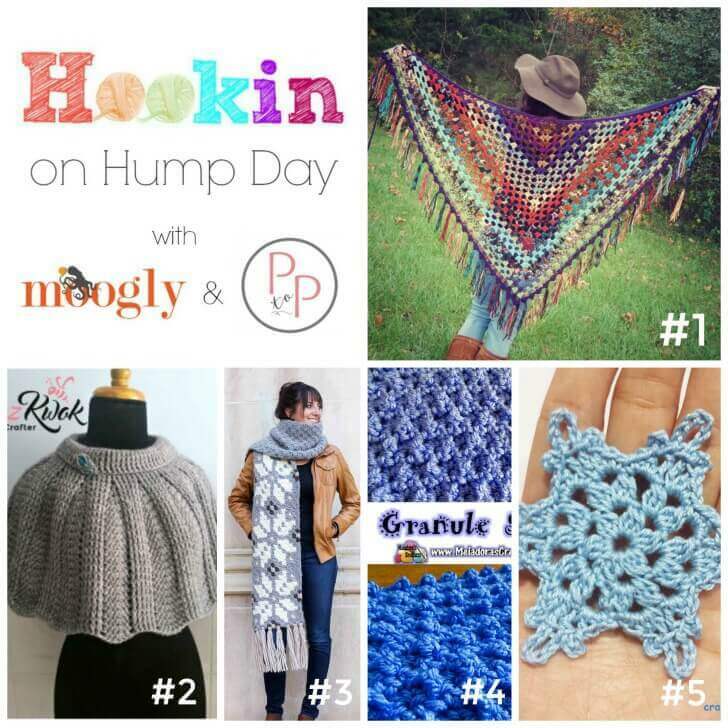 MOST CLICKED LINK: Scrappy Granny Shawl Pattern by Morale Fiber – artistic, scrappy, and a FREE crochet pattern! 2. Warm Embrace Poncho by Maz Kwok’s Designs – a small warm layer with cowl neck collar for cold days, and a FREE crochet pattern! 3. Nordic Crochet Super Scarf by Make & Do Crew – a stunning use of corner to corner crochet, and a a FREE crochet pattern! 4. Granule Stitch Tutorial by Meladoras Creations – a FREE crochet video tutorial! 5. Mini Snowflakes by Crafty Guild – just 3 rounds to make this FREE crochet pattern!